It has taken me a while to get this posted. It seems like there is always something more important to accomplish. When I first sewed this pattern I ran into 2 small issues but after contacting the creator she quickly corrected them and sent me a new pattern. I love when people are so quick to make the needed changes. She also sent me a free pattern of my choice. I would HIGHLY recommend the “Mother of Nine” Etsy shop. There are two sleeve versions and two apron versions. 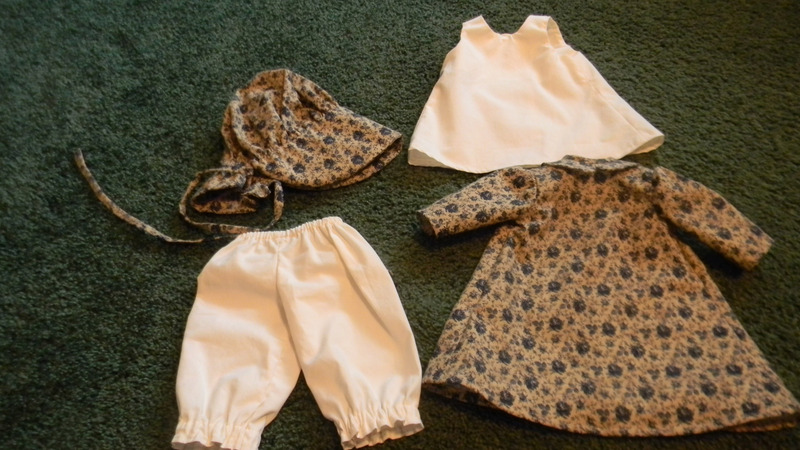 I made the straight sleeves and straight apron versions and have made 3 of these outfits so far. 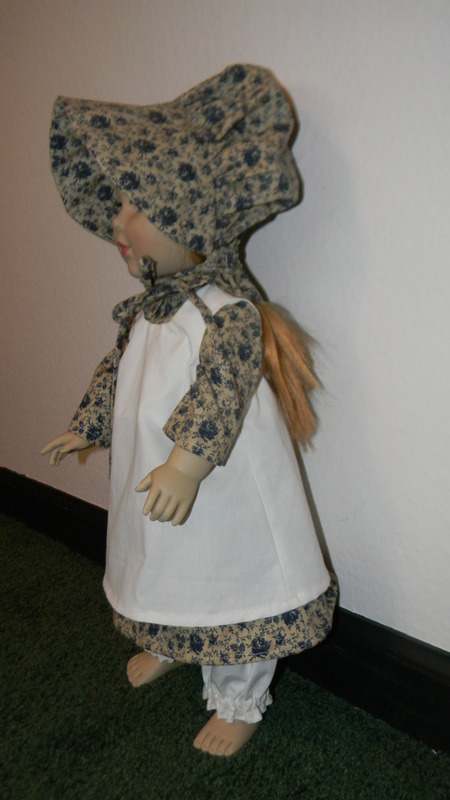 The first one I made was for the Target version doll and it has a much smaller waist so I had to use a smaller piece of elastic for the bloomer waist. The ankle elastic could have been a bit smaller also. The 2nd one was made for the Wal-mart version doll and was fine. Most of the pieces are pretty easy to construct and the instructions are great. 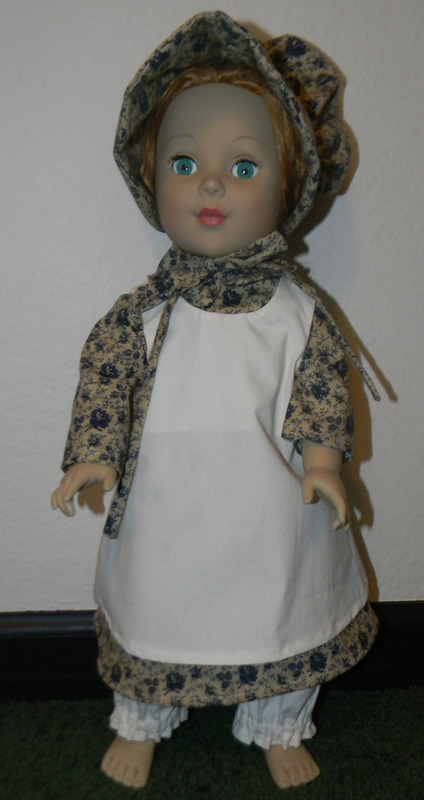 The only piece that would be hard for a beginner would be the bonnet. 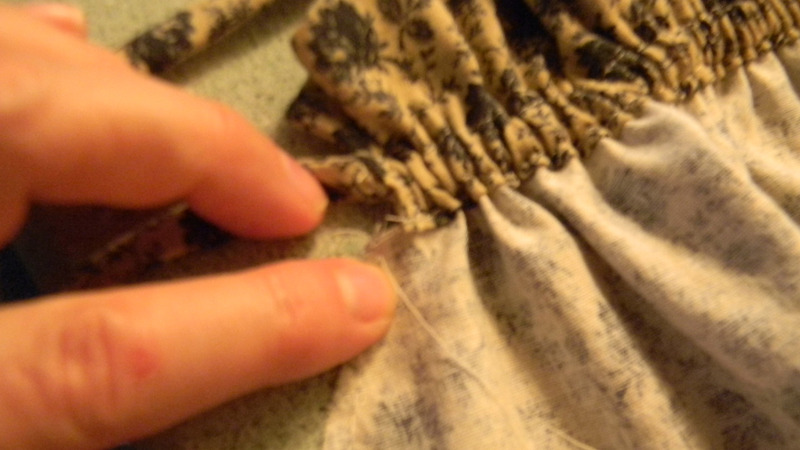 I clipped the seam on the bonnet just above where the elastic is sewn. 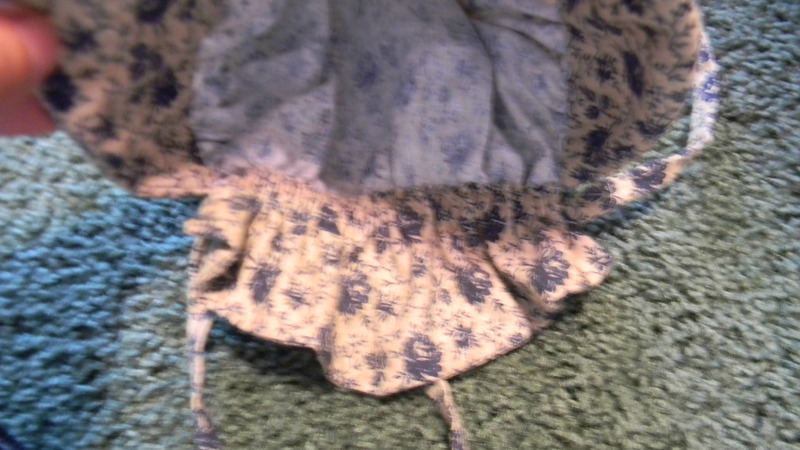 I am not sure if you can see on the picture below but that helped when inserting the elastic and then gathering the bonnet to fit the brim. Clipped fabric right above elastic. 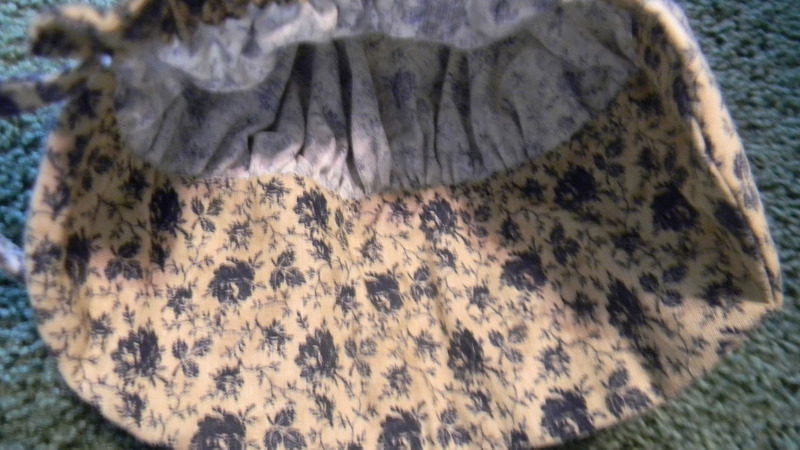 The inside of the bonnet where the elastic is sewn in. The inside of the brim where it is hand sewn down. This Etsy shop has many more patterns and I am excited about trying my hand at a new pattern soon. 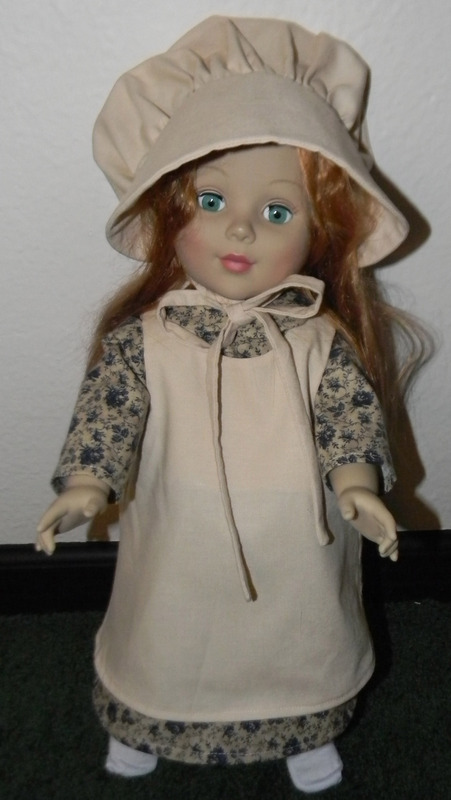 This entry was posted in doll clothes, Posts, Sewing and tagged 18" doll dress, 18" Doll Little House Dress. Bookmark the permalink.